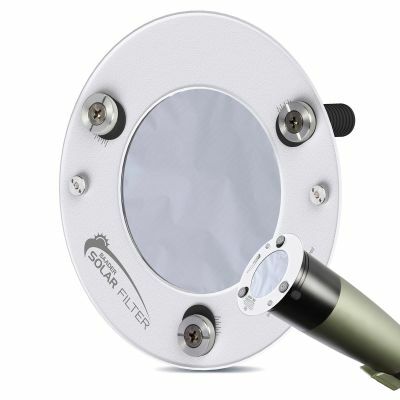 ASSF: (AstroSolar Spotting Scope Filter) This family of filters offers a stable and rigid solution for all spotting scopes, tele-lenses and amateur telescopes, with magnifications up to 120x. 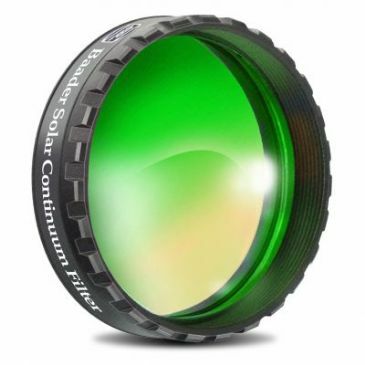 The AstroSolar filter material is likewise mounted onto a plastic ring whereas the plastic ring itself works as stabilizing element for the filter cell. 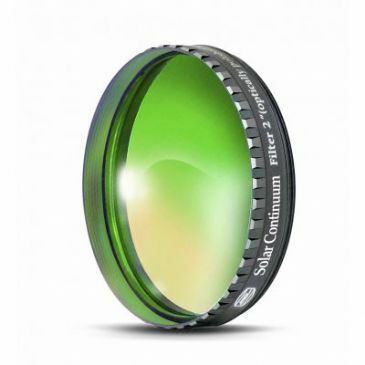 This still plastic ring is mounted onto the aluminum front frame. The thermal expansion coefficient of the plastic and the film are similar. ASSF 50 to 100 packages come with three centering bolts of 13mm diameter and 24mm length. ASSF 115 and 130 packages come with three centering bolts of 10mm diameter and 38mm length.